because it was more for me. *note: these are not scientific amounts, it was what was on hand at the time. 3/4 bottle of red wine, i used a chianti. the other 1/4 had been consumed the evening before. use medium sized saucepan, one that can house 3-5 pears comfortably and when the liquid is poured in, the majority of the pears are submerged. in the saucepan, add all the ingredients, except the pears. stir the wine until the maple syrup is fully mixed in. then gently add in the pears. heat the mixture on medium, reaching a gentle simmer. 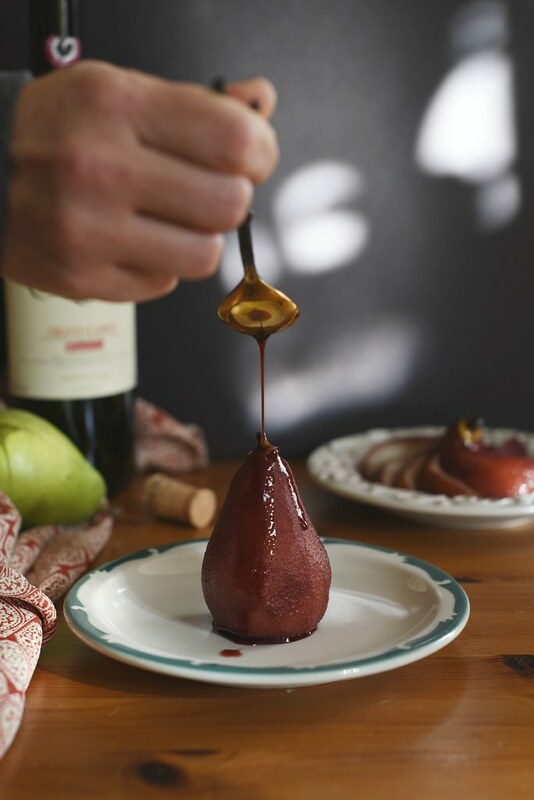 poach the pears for up to an hour, turning them periodically. you’re aiming for even color and flavor distribution. remove the pears, allow to cool. at this point, you can chuck the wine, or cool it and make sangria. i reduced it down to make a simple sauce, but the pears were fine without. serve when cool, as is, or with a side of whipped cream and drizzle of the wine mixture. Hi Lan, I just found your blog (and Instagram) today through Amanda from Ser Cocinera. What a gorgeous blog! 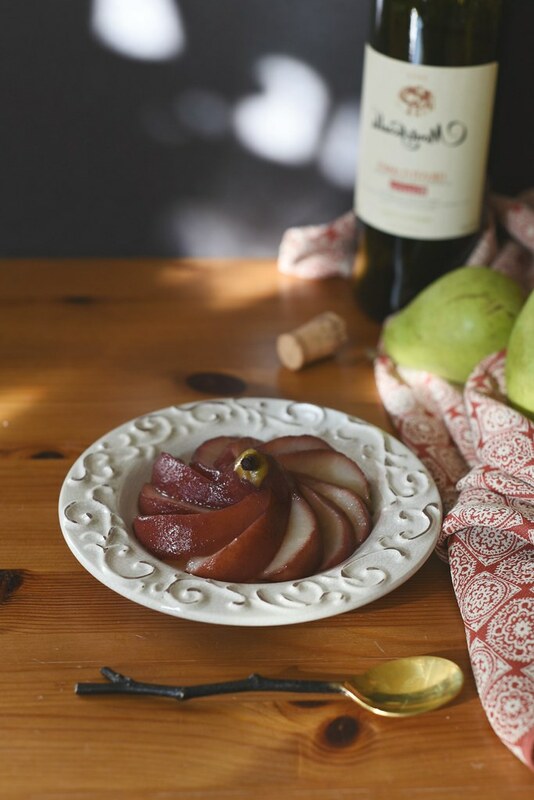 I’ve been wanting to make poached pears for the first time, what a lovely recipe to inspire me.